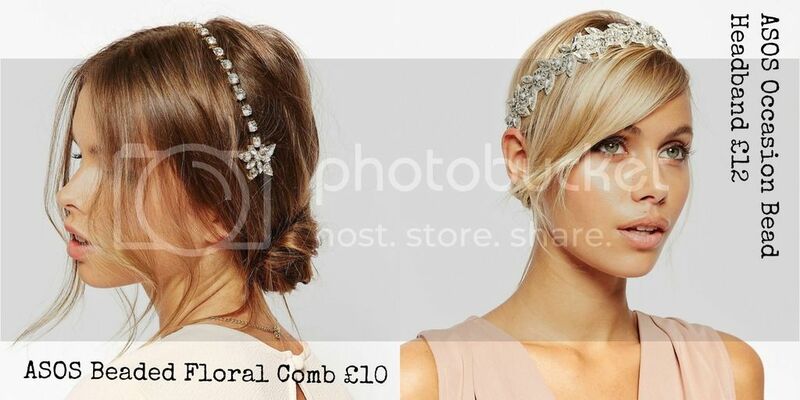 I love a hair accessory, and what better way to add the perfect party touch to your hair. From barrettes to headbands, the possibilities are endless, and no matter what length your hair is, there's an accessory out there for you. Look to the high street for affordable accessories. 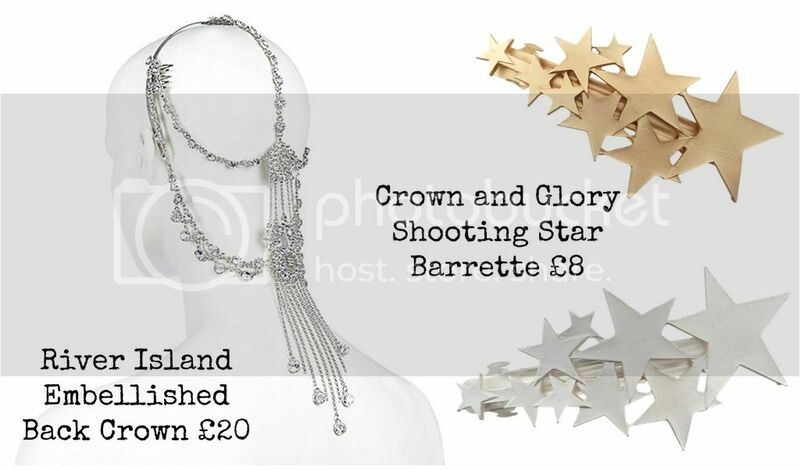 River Island have some fantastic 1920's style styles, my favourite is this gorgeous back crown. I can imagine this looking perfect on a simple, sleek ponytail - particularly for ladies who have dark brown or black hair. ASOS as always have a great selection of headbands and clips to finish a tousled up do, or chic bun. I love wearing my hair up to show off my shoulders, or neckline of an outfit. It's helpful they also model a lot of the accessories on actual heads, rather than polystyrene ones. Gives you an idea of what it'll actually look like! Finally, the wonderful Crown & Glory - I've bought a few accessories here and there from Sophie & Gareth and have never been disappointed. So much choice, and so much glitter. There's also a great custom order service if you want something special. Also, great gift idea, The Glitterati box and unbelievable monthly subscription service for those love adorning their hair with beautiful accessories. And if you fancy a bit of a challenge, why not make your own accessories? 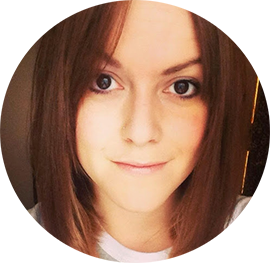 My latest piece for OVL gives you some handy hints on how to use your jewellery box to get some finishing touches for your hair.